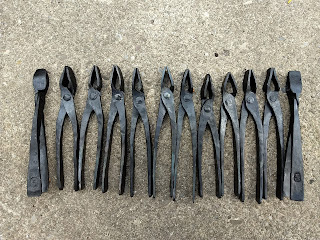 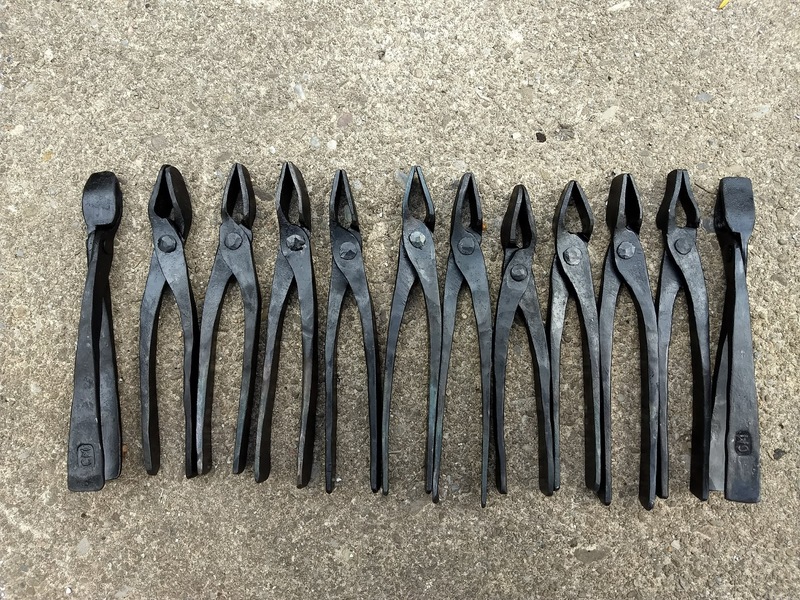 These small pliers average 5" in length and weigh 2.1 ounces. 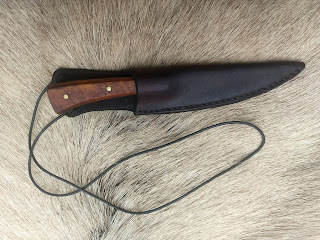 Great size for a muzzleloader bag. 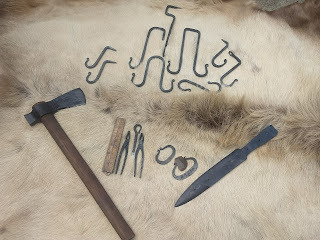 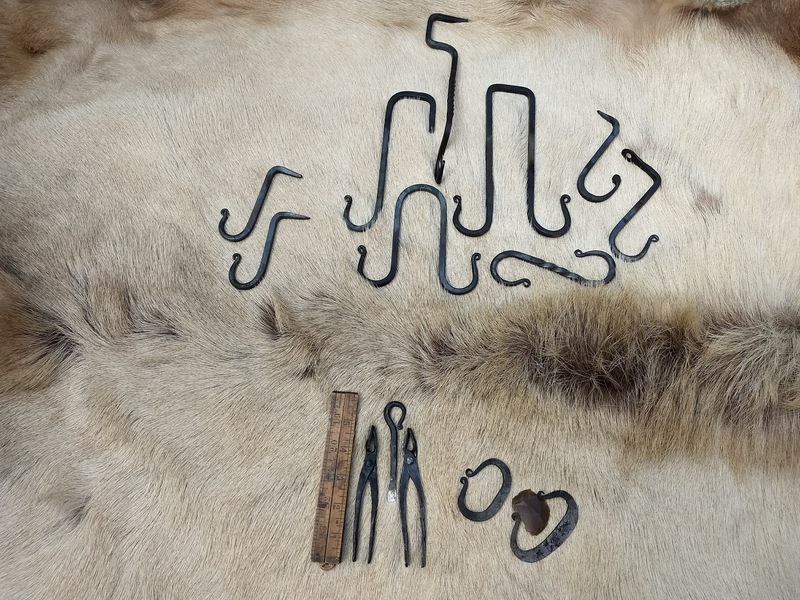 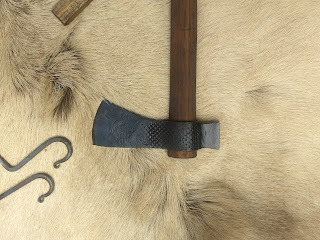 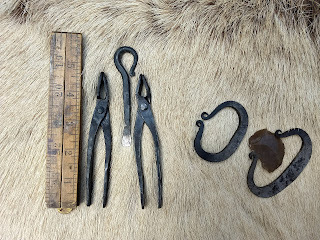 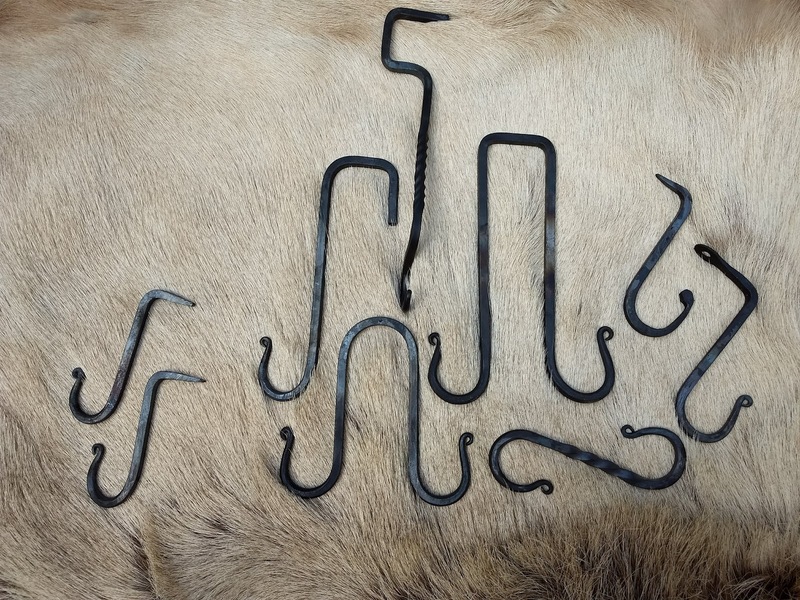 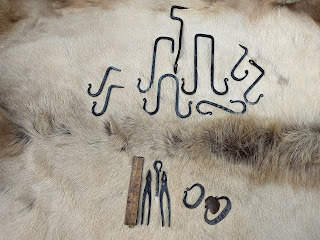 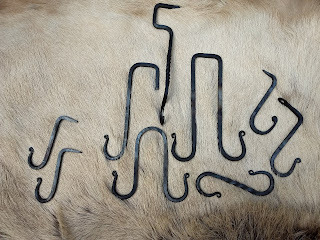 Various hooks for home or tent, flint strikers, turn screw, bag pliers, polled hawk, and a throwing knife. 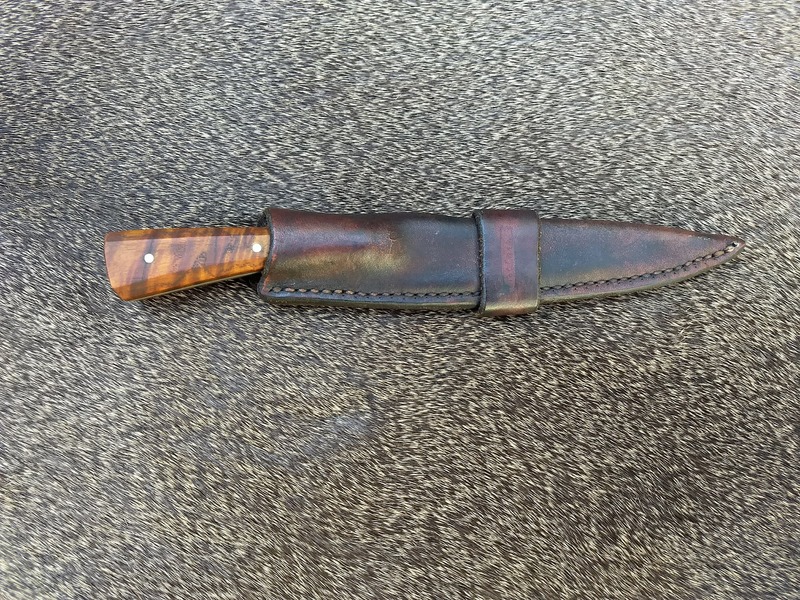 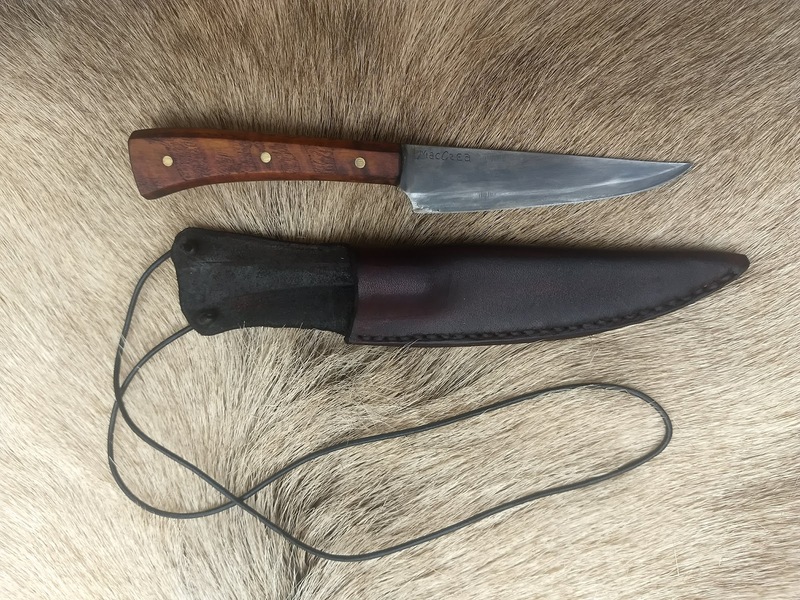 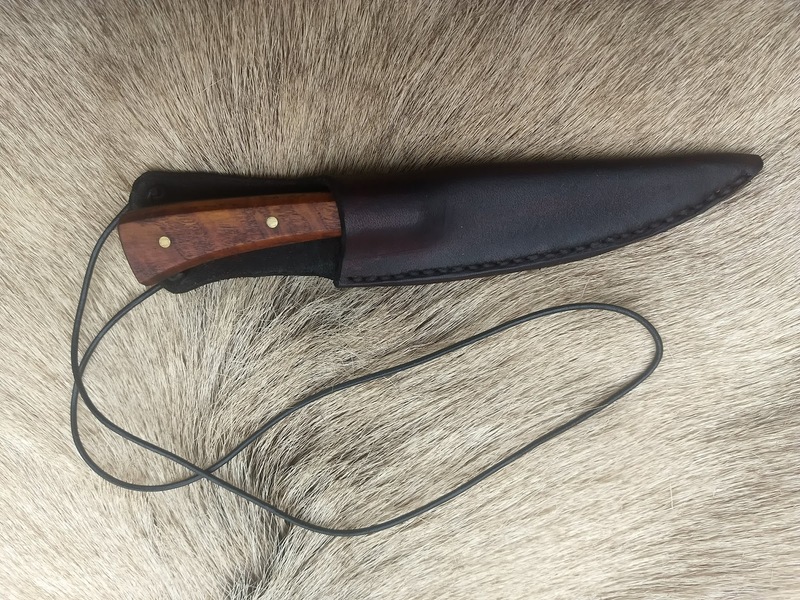 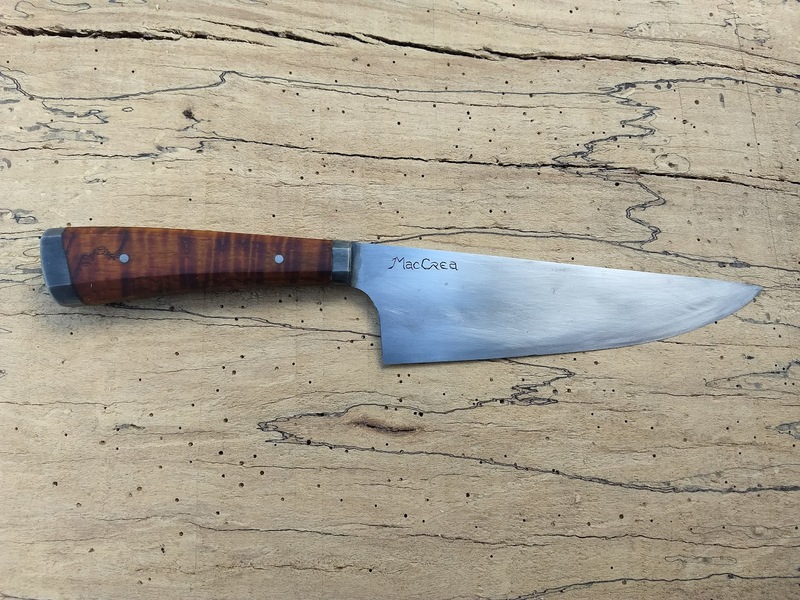 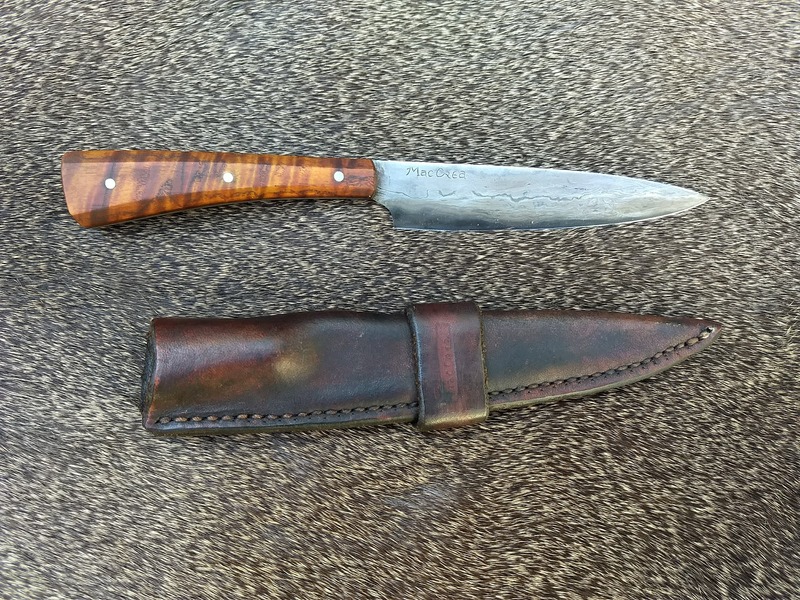 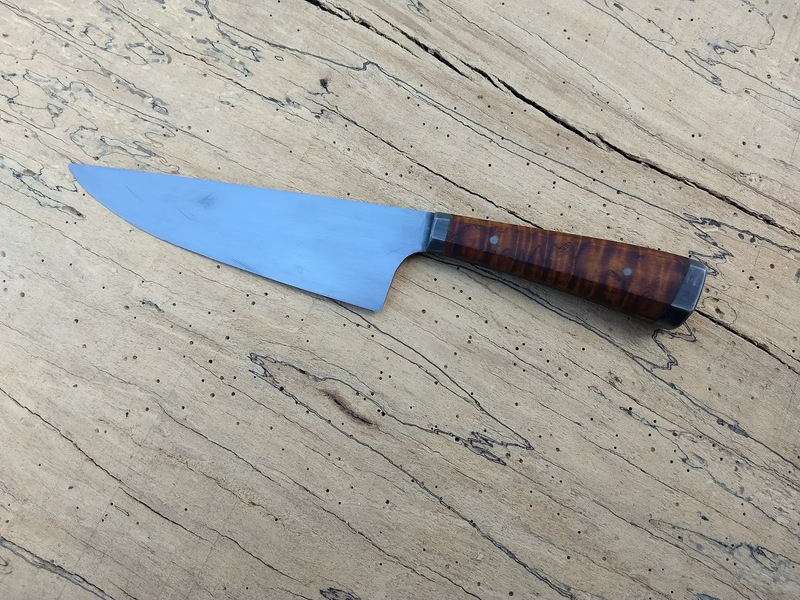 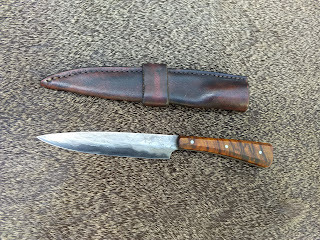 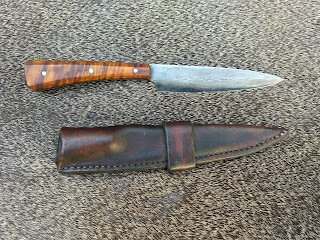 This knife has a 4 3/4" cutting edge and is 8 3/4" in overall length. 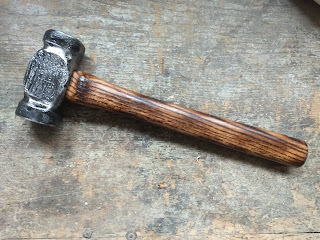 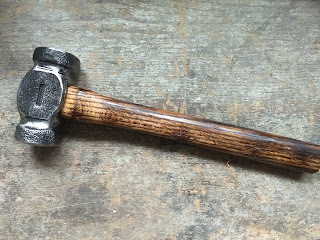 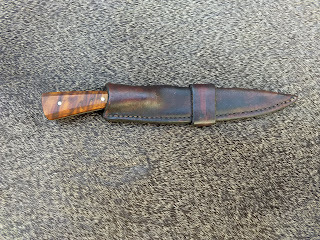 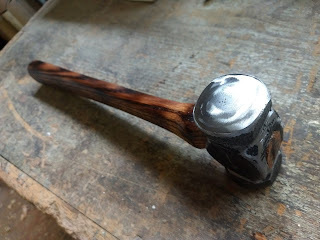 The handle is curly maple from the firewood pile.